Hello everyone! This is Fai and I am a big fan of Jewel and Defense games. Recently I have been thinking about designing a game which merges these 2 big elements together---ladies and gentlemen, let me present to you, Jewel Kingdom Defense!! JKD is a Jewel x Defense game. The story is very simple: Monsters from the forest are invading your castle! 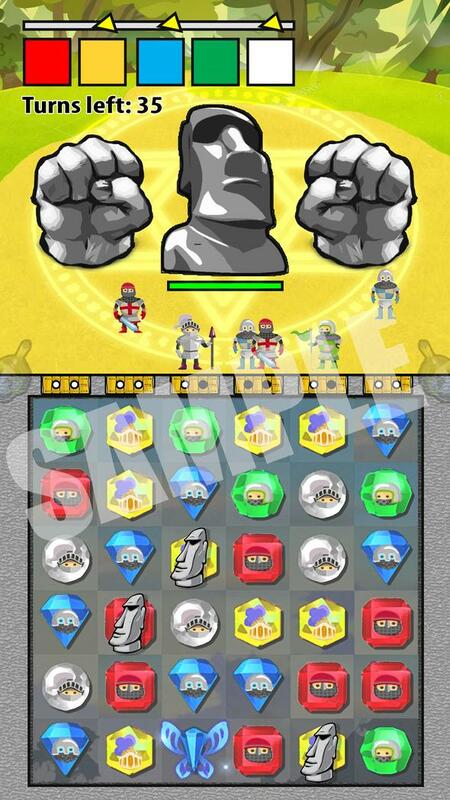 As a magician, you have to use your magic stones to summon soldiers and cast powerful spells to defeat the enemies! It may sound a bit retro, but this is always a good start for a casual game, right? Throughout the game you will experience different stages and you can train up your soldiers to form super armies and defend your land. Check below for more details! As mentioned above, JKD is a Jewel x Defense game. In every stage, monsters will be coming towards the gates of a castle; when they break the gates, players are defeated. 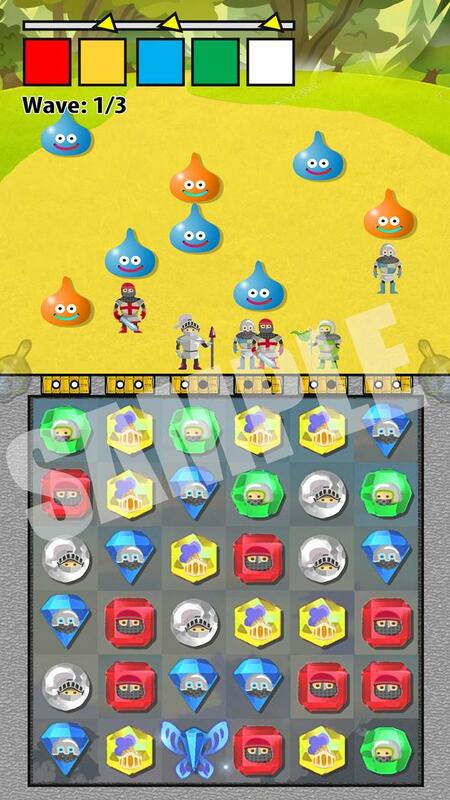 To stop them, players need to match 3 or more gems (magic stones) in any row or column to summon soldiers. There are 5 colors of gems, meaning that there are 5 types of soldiers players can summon. Each type of soldier has its own attributes (Attack, HP, Speed, Attack Range, etc. 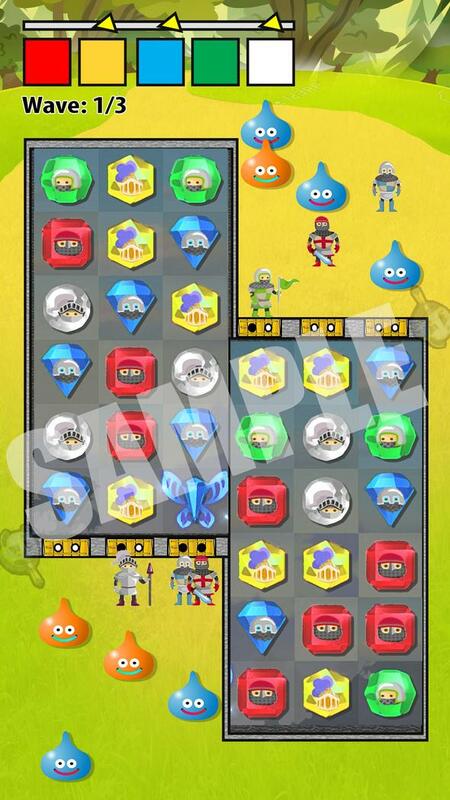 ), so players can create different strategies depending on different situations. Of course, players can upgrade these soldiers and spells according to his/her preferences. I know that players will get bored soon if the shape of the castle is fixed for a number of stages; therefore there will be different levels with a variety of castles. 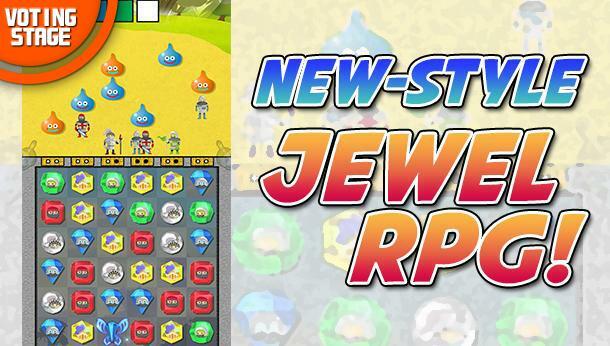 Obstacles, such as rivers or stones, will appear in some stages, causing gems to move about in every round or be blocked. Players have to pick the best way to match gems for different 'castle issues'. To increase excitement, bosses and more modes have been introduced into this game! After every 10th stage, there will be a boss who players need to defeat. These bosses might have special abilities to interrupt a player. Players still have to complete the level within a certain amount of time or moves. I really hope that JKD can get enough support and be developed! If you are bored with current PAD or Jewel Games, and you want to experience a brand new Tower Defense game, then don't hesitate--click the Vote button on the right NOW!